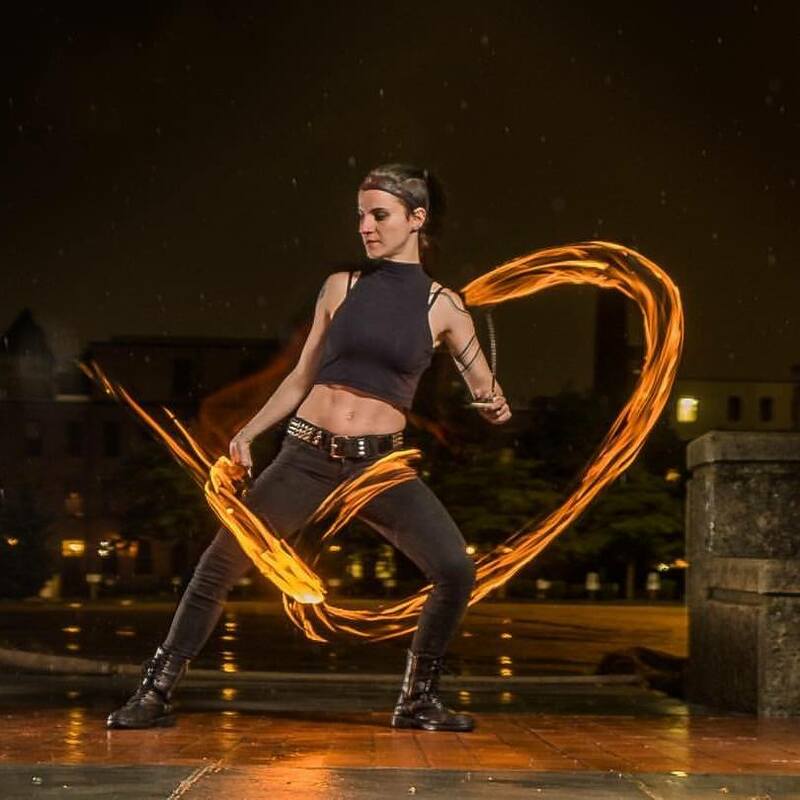 The definition of fire dancing — a performer dancing with objects such as knives, sticks and swinging rope set ablaze — might scare some people, but not Amanda Salemi, who has been a fire dancer for roughly three years. Salemi had very little dance training before falling in love with the flame at age 28. Salemi has always wanted to pursue dance, even taking some classes when she was younger before her parents encouraged her to try other sports. “I never went back [to dance], but I always wanted to,” said Salemi. Her time to get back into dancing came when she was with a friend, the late Tim Davis, who was messing around with a set of light poi, which are the electronic, beginner version of fire poi. The fire poi are the small globes of flame attached to chains, commonly used in fire dancing. He let Amanda try them out, and when she did she, well, she crushed it, and a flame was sparked. 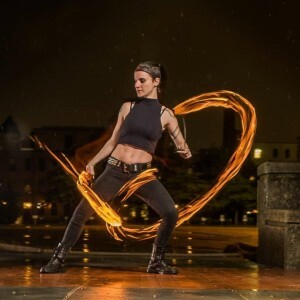 She did so well that Davis bought her her first set of light poi so she could continue practicing, and Salemi credits him with being one of the biggest reasons she began fire dancing. She calls Davis one of her greatest inspirations because he never gave up on her and always believed she could do it. Once she received the light poi she practiced every day, improving her skill and falling in love with the dancing flames because with the dancing came other positive benefits. “I always felt so meditative and calm while doing it,” she says of her experience twirling the lights. As for the burning question that everyone is probably wondering, yes, Amanda has burned herself and gotten hurt while twirling fire. Once, while she was practicing a new move that she “was not ready to try,” she got too scared, doubting herself and burning her arm. Another instance was when she performed at her cousin’s wedding and some fuel got onto her handles. When she lit up her equipment, she also lit her hands on fire. She has learned from that mistake and now carries the fuel away from her other equipment. In addition to being a free–spirited fire dancer, Salemi is the lead singer of the RI–based and 2018 Motif Music Aware nominee Consuelo’s Revenge, a seven–piece group that plays a little bit of everything, including folk rock and gypsy folk with a strong bluesy vibe. Salemi always wanted to be a singer; she constantly wrote poetry and sang when she was younger but, like the dancing, it took a back seat to the rest of what was going on in her life. 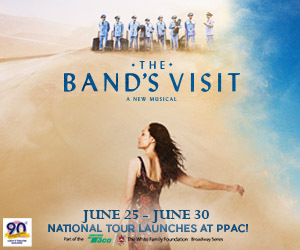 Salemi is certainly following her dream, as the gigs for fire dancing multiply while the popularity of her band spreads, as Consuelo’s Revenge is booking more and more shows. From eating fire to fronting a prospering band, there’s an apparent flame that will continue to burn, fueled from deep inside Amanda’s artistic heart.